The Argadells was our home from Saturday evening 13th June to Monday evening 15th June. The Argadells, a working pastoral property, is an excellent camping location with tent, caravan and trailer sites, some cabins and other facililties including on-suite bathrooms. We left to travel to Farina Station on Tuesday 16th June. Sunday we were in the midst of a heavy rain event in this part of South Australia and further North. There was no way we could activate Mount Arden. After a discussion we decided to travel into Quorn and take the only train running on that day. 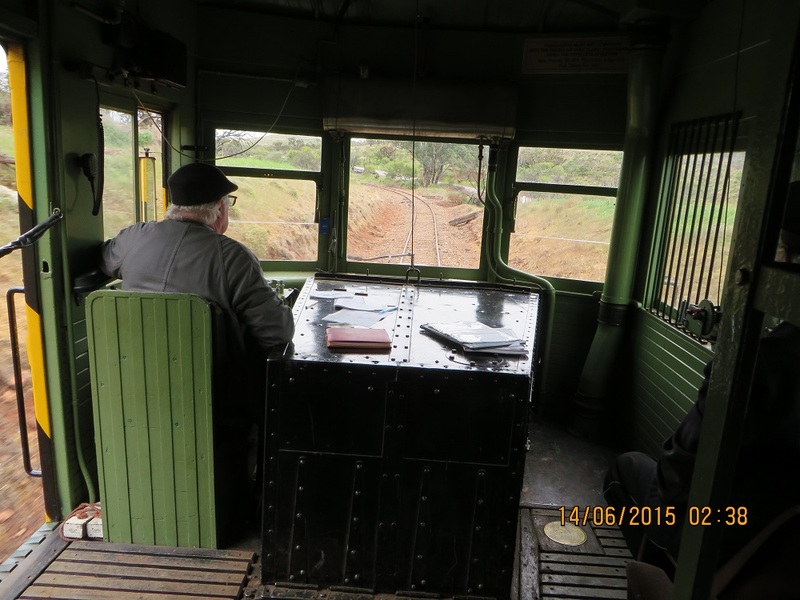 The train was scheduled to depart the historic Quorn station at 10.30. We secured tickets, took photos and were soon on the ‘Barwell Bull’. A ‘Barwell Bull’ (nick-name) is a US made Brill diesel railcar and they were obviously pretty impressive in their day. 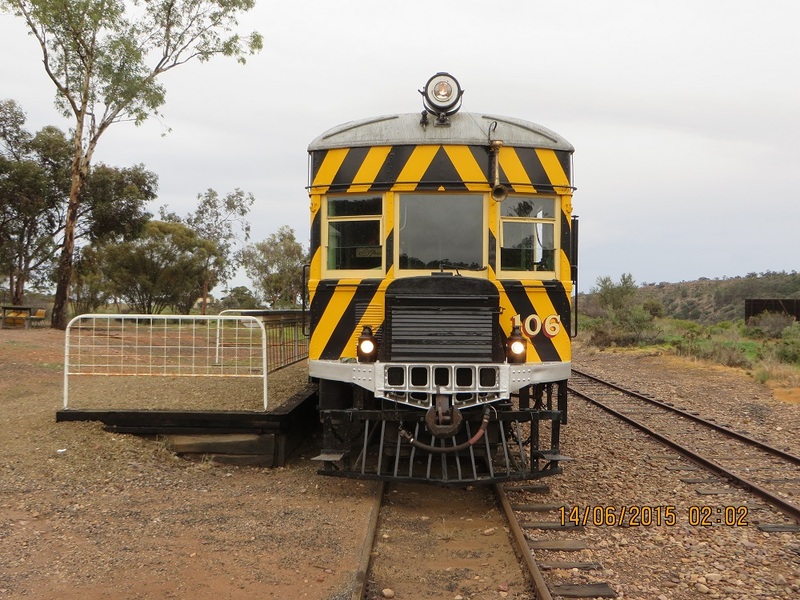 They travelled over both broad-gauge (Irish gauge 5 feet 3 inches) and narrow gauge (3 feet 6 inches) railway tracks in South Australia. Our Barwell Bull, the class was named after the Premier of the day, Sir Henry Barwell, was based at Quorn and saw most of its life running the route from Terowie to Quorn. The noise in the cabin appeared to me to be excessive. The Driver did not seem to have any ear-protection. I am sure the Society would have occupational and safety rules about ear protection to avoid being exposed to the risk of a damages claim. Here are three additional sources for those who may be interested to learn more about the railway. Fischer, Tim, 2004, Transcontinental Train Odyssey: The Ghan, The Kyber, The Globe. Allen & Unwin, Sydney. Fuller, Basil, 1975, The Ghan: The Story of the Alice Springs Railway. Lansdowne, Sydney. Paul had arranged for us to have lunch at the Austral Hotel with VK5KLV, Les and VK5KPR, Peter and his wife. This was a splendid social occasion.